The White Brick Kitchen is nestled in the middle of Koreatown. It’s the perfect place to go to if you’re in the area and looking for something that is not bibimbap or pork bone soup. They serve American comfort food. The menu includes things like burgers, salads, fried chicken, mac n cheese, chilli and more. 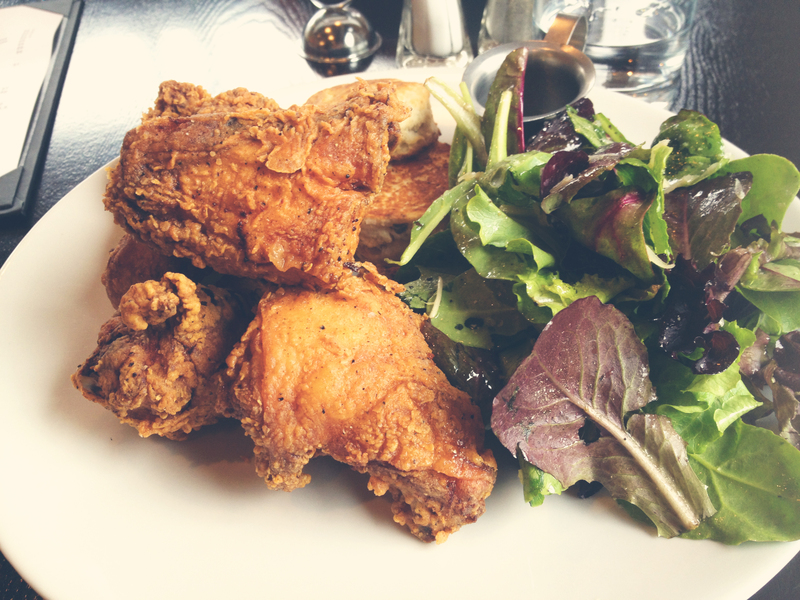 On Foursquare their Buttermilk Fried Chicken ($17) was highly recommended so that’s what I went for. For my side I chose the mixed greens in a lemon vinaigrette. It also came with two scallion biscuits which were nice and moist. Nash loves green onions, so he was a huge fan. The fried chicken, was probably the best fried chicken I have ever had. It was also literally half a chicken, so quite worth the hefty price tag. There was a honey mustard dipping sauce with it but I accidentally thought that was salad dressing. Silly me, but it still worked in the salad. It didn’t matter because the chicken batter was so delicious (and strangely creamy) that it didn’t need any dipping. Nash ordered the Brisket Burger ($13) with a side of BBQ kettle chips. They reminded me a lot of my home-made potato chips. 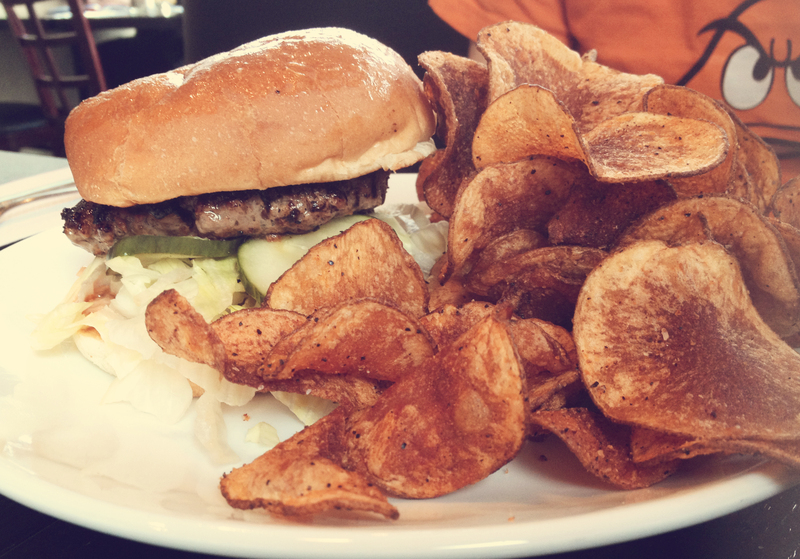 The brisket burger had some lovely pickles (which they brine in house). The burger itself was very light. Additional toppings were a bit expensive, but I had enough chicken to feed the both of us. We’ll definitely be back soon for brunch where they have housemade beef bacon and deep fried eggs!